The cosmetic laser emits energy to your skin that selectively targets the problem vein while bypassing surrounding tissues. 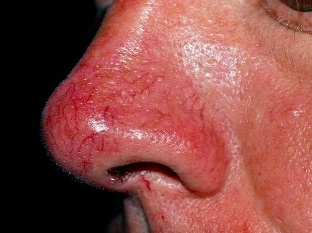 After treatment, the selected vein naturally disappears. Laser therapy can heat blood vessels to shrink them. We utilize Cynergy treatment for Leg Veins & Rosacea is the Cynergy™ laser (Cynosure, Inc.) utilizing a state-of-the-art Multiplex™ laser technology. Cynergy is the first system to combine a long pulse pulse-dye-laser and a high powered Nd:YAG into one system. These wavelengths were chosen for their absorption characteristics and depth of penetration. Both wavelengths are well absorbed by blood. Both wavelengths are also absorbed by melanin. The wavelengths are synergistic in their depth of penetration criteria, the PDL has a more shallow depth of penetration while the Nd:YAG penetrates deeper. Powered by Cynosure’s advanced MultiPlex™ technology, the Cynergy Vascular Workstation treats all types of vascular and pigmented lesions—including spider veins, and rosacea—more effectively than conventional, single-wavelength technology, including: facial and leg telangiectasias; spider veins; hemangiomas; mature and blebbed portwine stains and other vascular malformations; rosacea; scars; and warts. 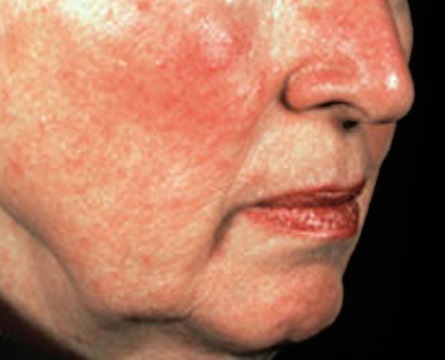 Cynergy treats vascular lesions with unsurpassed efficacy and minimal side effects. MultiPlex Vascular refers to Cynergy’s combination of PDL followed by YAG, with short, medium, long and extended delays between wavelengths. MultiPlex vascular has been shown to provide 75% singles-treatment clearance in 75% of subjects when treating facial telangiectasia, with little of no purpura. MultiPlex improves treatment of leg veins as well. MultiPlex has also been shown to improve outcomes for those with recalcitrant and resistant vascular birthmarks, and to allow treatment of lesions previously requiring surgery.